Napa Valley Wine Shelf Imax Corporation. 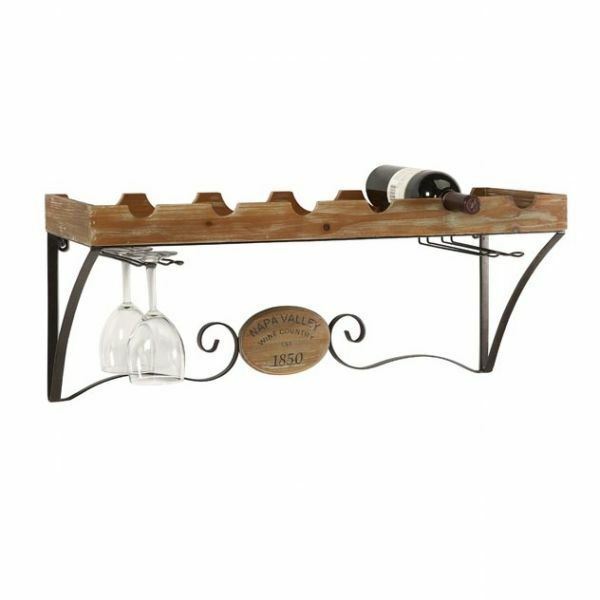 This traditional wine shelf gives any room a sense of Tuscany. It holds six bottles of wine as well as four wine glasses. Wooden shelf with metal hanger.